eBridge is an EI Design’s online platform which has been designed with our expertise of 14 years in creating quality eLearning courses for our customers globally. A product from our Innovation team, this eLearning collaborative tool can also be customised to your eLearning development process. 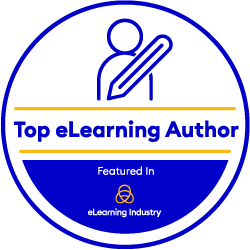 It provides features such as filters, highlights, notifications, dashboards and so on that can be integrated within an eLearning course enabling you to track the entire development and review process from one link. Get a hands-on experience of working with eBridge tool FREE for 30 days.